Naidu slammed the EC over the manner in which the election process was conducted. He alleged that 30 to 40 % of EVMs in the state had malfunctioned. 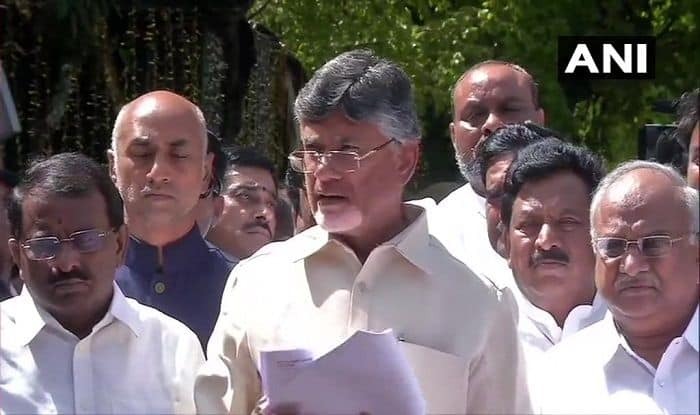 New Delhi: Andhra Pradesh chief minister Chandrababu Naidu had approached the Election Commission to complain about the widespread EVM glitches and violence during the first phase of Lok Sabha and Assembly elections in the state on April 11. A day after the polling for 175 Assembly and 25 Lok Sabha seats was over, the Chief Minister slammed the Election Commission over the manner in which the election process was conducted. Naidu alleged that 30 to 40 per cent of Electronic Voting Machines (EVMs) in the state either had malfunctioned or did not function. He alleged that Narendra Modi-led government is interfering through the poll panel. “We have complained against EVMs earlier also. EC is an autonomous body but they are working at the instructions of Modi. Transfers of officers in AP is unjustified,” Naidu told reporters after the meet. “As a senior leader, I have to warn them (EC). The country should know. They should not commit any more these type of mistakes,” said Naidu. The TDP chief also said he would file a review petition in the Supreme Court over its order on the counting of VVPAT slips. “I am going to Delhi tomorrow (to meet the ECI officials). EC should answer why it did all this. After this we will go logically on EVMs,” he said and reiterated the demand that the country reverts to the old ballot paper system. The Chief Minister also fired at the Election Commission over the appointment of the state Chief Secretary, alleging that the latter was a “co-accused with Jagan” in the disproportionate assets case.